Although Shining Force takes place in the same universe as fellow Megadrive/Genesis epic Shining in the Darkness, the games themselves couldn’t really be more different. Whereas SitD is a first person dungeon crawler, Shining Force is a turn-based strategy title more akin to Nintendo’s excellent Fire Emblem series, or the legendary Langrisser franchise. The action takes place on a massive game grid. Each side takes turns to move their army, use spells or items and perform offensive manoeuvres against their opponent. When an attack is activated the game switches to a different viewpoint and the result of the attack is played out in dramatic fashion. The Shining games have always been famed for having strong storylines and Shining Force was one of the titles that created that impression. 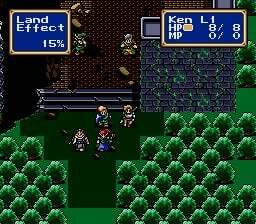 The plot is pretty standard 16-bit RPG stuff, with the usual serving of young heroes, ugly looking foes and an all-powerful bad guy intent on taking over the world. However, it’s handled with such flair that it remains intriguing despite the generally clichéd nature of the story. 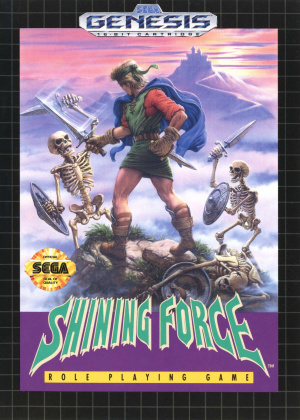 Graphically the game initially looks quite underwhelming – the designers have made the conscious choice to keep use of the colour to a minimum and therefore Shining Force (like many of the other Shining titles) has its own individual, cartoon-style look. Sega’s 16-bit console is clearly capable of more colourful visuals but that’s not to say the game is ugly – it just possesses a unique style that, over the years, has helped the franchise stand out from the crowd. 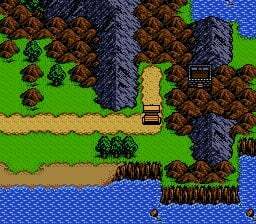 There’s plenty of entertainment to be had with loads of missions (many of which can last for well over an hour) and some mildly diverting 'town' sections, which fall into the traditional RPG format of locating an item/person in order to further the story. All in all, the game is an excellent addition to the Virtual Console library and represents a meatier, more involving purchase than most other games available on the service. If you want a game that you can really sink your teeth into then make sure you download this. Playing this game right now. Also, it seems to be incredibly slow-developing, what with all the turn-based battling. This game is somewhat generic, and it's pretty boring too There's just nothing ... SPECIAL about it! I'll probably get this soon. A Fire-Emblem type game that will be on sale for 500 points in a week? I might have to pick this up. Awesome, I love fire emblem. Looks like a must have for me. The sale really is working for Sega, I may never have heard of this game if not for that.